This office supplies business opened with just a single salesman going door to door selling products. Eventually Toner Quest opened a store in Brooklyn, N.Y. As the business continued to grow the merchant opted for a website with an online store to reach an even greater audience. The New York website development by Bitochon enables the merchant to display office products. It also allows to make changes to the site’s content as needed without the involvement of a programmer. The money from credit card purchases is deposited directly into the merchant’s bank account. 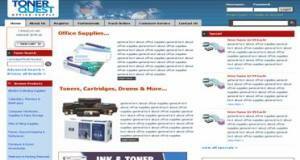 Toner Quest profited from this type of web design because it allowed them to do business nationwide and expand their product line to include printers and office furniture.